At the current stage of the global alpaca industry assesment of production is really the only logical way to evaluate breeding genetics. The line up of Pucara International stud males is testament to that. We have lost count of the awards our boys have achieved the most important being the success of their progeny. Pucara Stud Males have won so many Futurity Herdsire of the Year awards in Light and Dark we have lost track. Scroll down the page for photo galleries of their production plus details of the stud males we are currently using. The 2016 Dark Female Futurity Champion and Judge's Choice winner, Wyuna's Abigail. These boys were bred to produce the traits that we value in suris. The textile values of luster and fineness along with uniformity. The breeder values of density, staple length, conformation and constitutional vigor. And last but not least they are bred for appeal. As Don Julio Bareeda said, " The head is the window to the type."! We are fortunate that AOA judges are also trained to value these traits. If you would like to acquire the Pucara genetics perhaps the quickest way to the stud level of quality in our herd would be to purchase an embryo. Call us for the latest selection. Madiba is the culmination of bringing our suri breeding program together with the famous Latah Creek herd from Jack and Kelly Armstrong. Madiba (Nelson Mandela's tribal name) is a son of LCA Viho and Silkworm, out of DDF Gracie by Bruxo. Gracie is famous, a daughter of Augustina, the dam of MacGyver. that makes her half sister to MacGyver. A gallery of Madiba kids. Suri breeders are seeing the breeding integrity of this match up. Year upon year Kahuna and Chakotah have produced the best whites and amongst the best coloreds in the US (both stud males are repeat Herdsires of the Year)...proven time and again in the major show rings like the Futurity, Nationals, GWAS and CABA. Now that is being joined with two of the greatest white herdsires EVER before Kahuna came into the mix...Pperuvian Inca and Peruvian Bruxo. Similar breeding like that has produced Pucara PureSuri Tikanui a multiple times champion and Pucara PureSuri Royal Silk the 2013 Suri Network Fleece Show Judges' Choice. Madiba had an outstanding show career mostly showing in beige or light and always winning. In 2012 we bred him to some quality females and the cria in 2013 were outstanding. The quality of Madiba's cria such as Madiba's WCF Katie the 2016 Futurity Light Female Champion and other show winners like Madiba's WCF Emma Lou and Madiba's WCF Charlie who feature in the picture gallery is very pleasing. He has thrown traits of fineness fused with density which is producing splendid luster. He also has science on his side with impressive EPD results at or near the top in every trait measured. Call us for advice on matching Madiba to your females, available progeny or embryos he is the sire of. The marriage of genetics from Peruvian Bruxo, Peruvian Uribe, Peruvian Augustina (McGyver's mom), Pperuvian Amador and Peruvian Cadete (Accoyo foundation herdsires of our female herd), Pucara Kahuna and Pucara Allegro who had 37 championship winning cria in Australia of which 17 won Best in Show! The odds were stacked in our favor when we bred this male and are now stacked in yours because there is little room for deviation of outcome with this punch of prepotence. His cria have dominated in the show ring. Wyuna, both light and dark herdsire of the year was a multiple times Judges choice winner. BuzznHumm Layla, Judges Choice winner at GWAS. Chakotah's Midas, a Futurity Herdsire of the Year. He has won get classes all over the country. The progeny mark a great stud male!!! How often is it that your eye is taken by a stud male, you charge in to look at the fleece and damn it either the fineness or the density is below the quality of the other trait! They are what is known as antagonistic traits. This is where Kekoa stands apart. He exhibits incredible luster as a result of the fineneess, the uniformity of micron and the accentuated density. It is truly a luscious fleece. He is the result of bringing together prepotent suri lines that have dominated in the US. Stud males: Kahuna, Uribe, Ganador, Bruxo, Ramilo, Rockstar! Stud females: Mandalay, Happy Halona Fortune, Silkworm, Gracie, Augustina, Maria. Kekoa got a big slice of the girls in our ET program in 2017. Not something we would normally do without seeing cria...BUT...there is NO weakness in his pedigree, none! There's an awfully big load on Lexus. We have chosen him of all the Kahuna sons that have become stud males to carry on Kahuna's legacy. He had a brief campaign at Goldyn Rae Suris in Colorado for the 2015 breeding season where he produced some gorgeous show caliber cria. Sired by none other than the five times Futurity Light Herdsire of the Year Pucara Kahuna, his mother also comes from an immaculate pedigree. PureSuri Lexus is a daughter of one of the densest males ever seen, the Peruvian Inca son LCA Viho, and her dam is a Snowmass Ice Dancer daughter who is infused with the superior genetics of Uribe and Ganador. ​"Have you ever seen something so dazzlingly beautiful you can't quite find the words to describe it? That's what happened to me when I saw the fleece on this boy. White isn't the absence of color but rather all colors combined and Navigator's fleece is that brilliant kind of pure white that has infinite potential to take on any color. You can just envision the myriad of next to skin fabrics this fleece could be made into. Navigator was born to pass those traits on to future generations and he will begin his breeding career this summer. So happy to co-own this fantastic male with Pucara International." These are the words of Michelle Alexander our co-owner at Dakini Suri Alpacas. Beautifully said! Navigator is ready to work in 2017. ​Hana Boy is a championship winning son of Chakotah of CCR Suris. Chakotah has not oly won Dark Futurity Herdsire of the Year twice as well as Reserve, he has produced sons like Wyuna and Chakotah's Midas who have won Futurity Herdsire of the Year awards. Hana Boy is another product of our program that has high rankings in the EPD system. He boasts top 1% for fleece weight and Staple length (second in the country!) 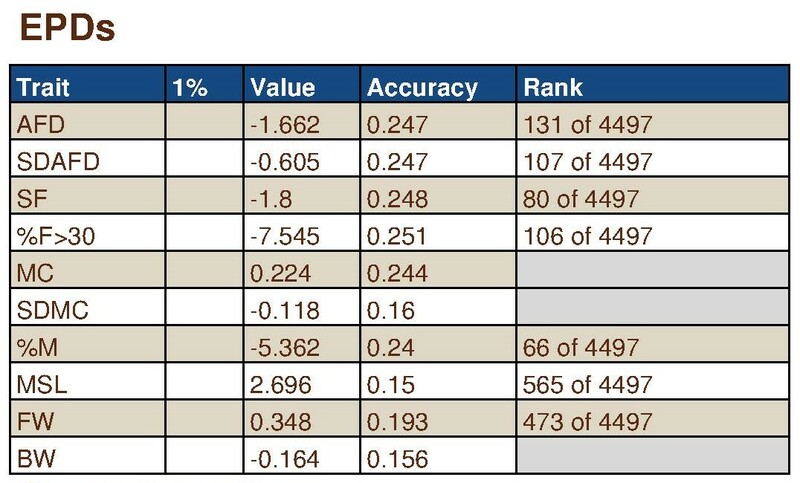 Top 5% for percentage of medullation and top 25% for fineness of micron! Please note Hana Boy has not only won several championships in halter he also won first at the main suri fleece show of the country at the Suri Network Summer Symposium. The phenotype of this male is absolutely stunning. He has the presence of royalty and possibly carries one of the best suri heads we have ever produced. We produce our best suris when we combine the genetics of Pucara Kahuna (Pperuvian Amador) with the genetics of Pucara Allegro (Pperuvian Cadete). Hana Boy's dam, Pucara Hana Girl, is a Pucara Allegro daughter. Chakotah is the premier son of Moon River’s Peruvian Durango, (who when bred to our females, produced national champions like Chakotah and Rapper) . With Hana Boy the genetics of Bruxo, Uribe and Kahuna via Chakotah meet with the award winning genetics of Pucara Allegro, who has produced 22 Supreme Champions in Australia. If you are looking for a stud male with incredible phenotype, advanced fleece characteristics, strong correct frame and big bone, look no further than Chakotah’s Hana Boy. We just started using Hana Boy last year adn his first cria ere twins...a fawn and a dark brown! We are pushing him in 2017 after reviewing his genetics to go with our colored girls.